James Bond Island is a famous landmark in Phang Nga Bay. It first found its way onto the international tourist map through its starring role in the James Bond movie ´The Man with the Golden Gun´. A distinctive feature of this famous bay is the number of sheer limestone cliffs that vertically jut out of the emerald-green water. The bizarre, why-doesn´t-it-fall-over outline of James Bond Island or Koh Tapu (meaning Nail Island in Thai), lies next to the equally well known Koh Ping Ghan (sometime spell ‘Ping Gan´ or ‘Ping Gun´). 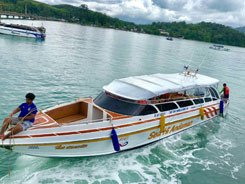 The entire area surrounding this island is indeed spectacular, but it can get crowded with tourist boats in high season. 07.30 - 08.00 Pick Up from your hotel and transfer to Ao Por Pier. 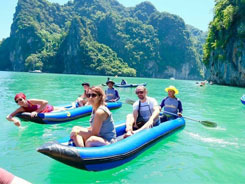 - Departure from the pier to Hong Island for Amazing canoeing scenery of Phang-nga Bay Panak Island for sightseeing and enjoy the fantastic limestone. - Explore Ice Cream cave. - Enjoy the Tasty local food on the floating Restaurant at Panyee Island After lunch relaxing a leisure your time. - Walk on the beautiful beach and swimming in the clear water at Naka Island. 16.00 Arrive at the port and transfer back to your hotel. 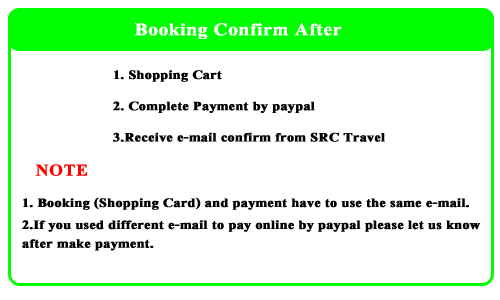 Remark : The itinerary and timing above are approximate and may be modified without notice to fit the tide and local weather conditions.